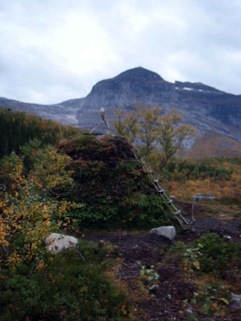 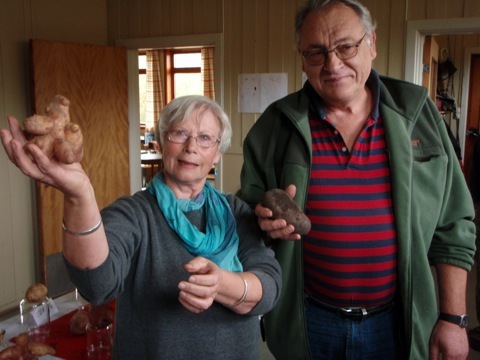 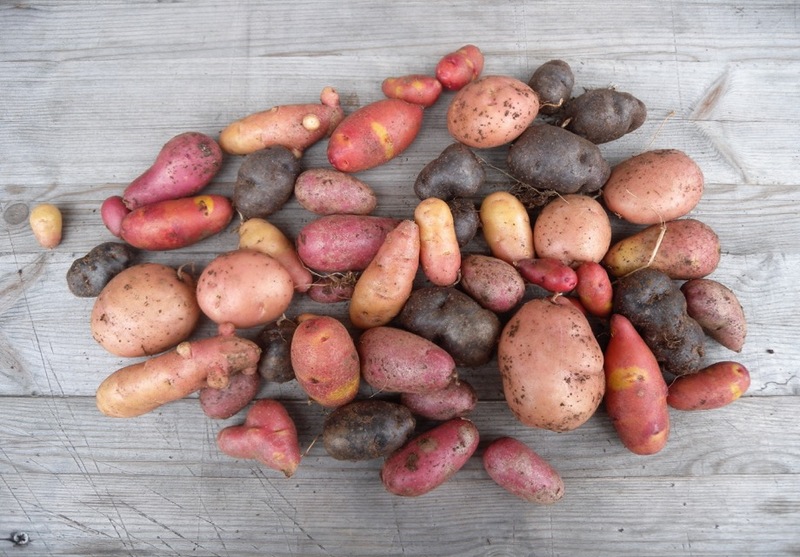 The spring of 2006 I send a package of different heirloom potato varieties to Geir Tore Holm and Søssa Jørgensen at the Art Centre Sørfinnset Skole/The Nord Land in the North of Norway. 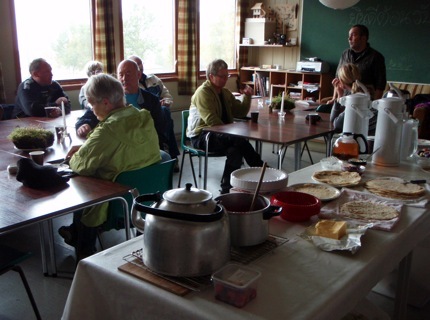 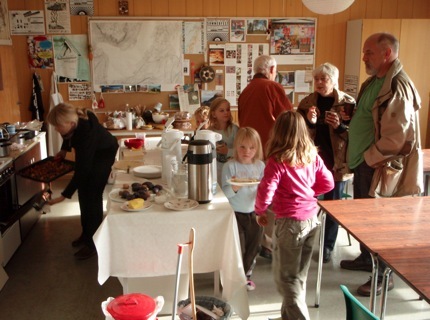 The centre is located in the small rural village of Sørfinnseth, in a former school building. 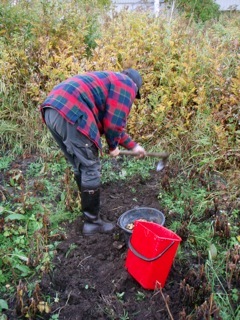 Within two years, the varieties had spread within the village, and were grown in most of the gardens. 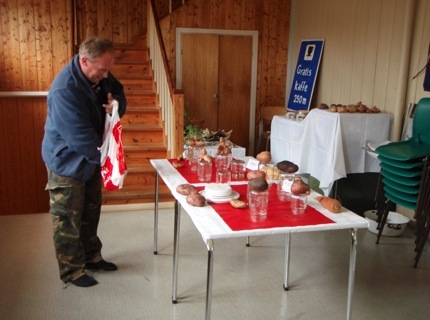 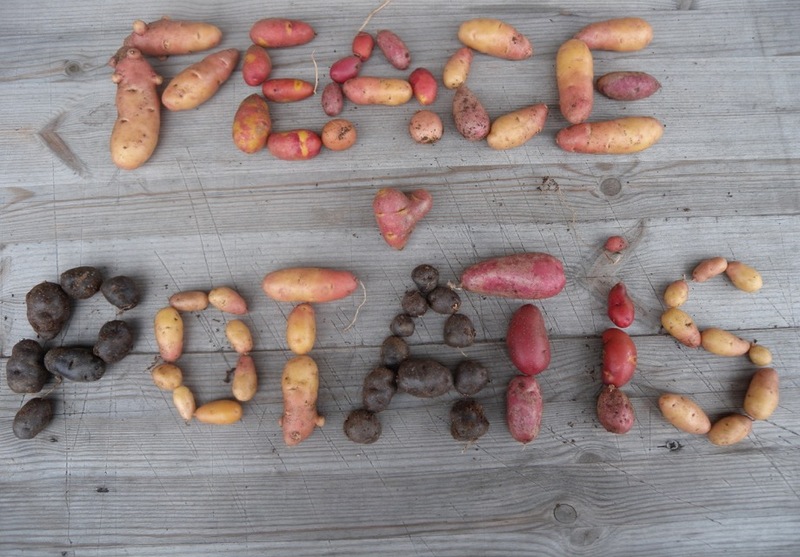 In 2008, I was invited to take part in The Potato Day, a celebration of the yearly harvest. 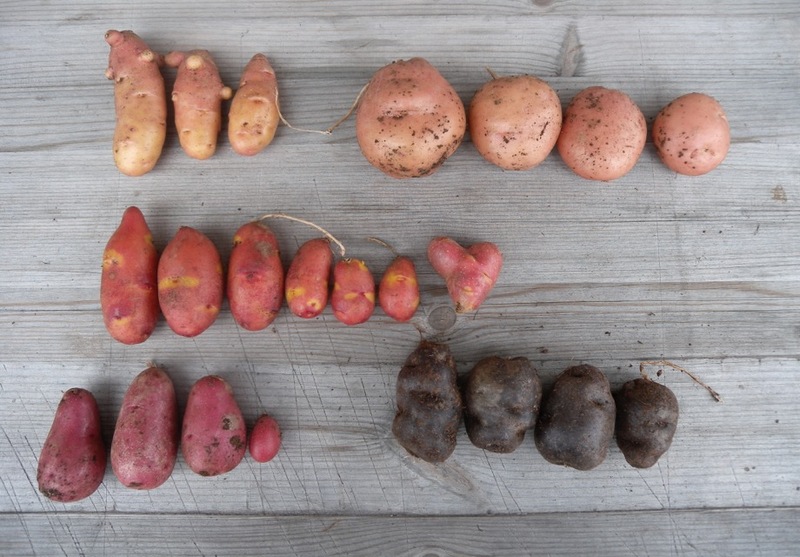 A competition on the most peculiar and the biggest potato was conducted (winners on top image). 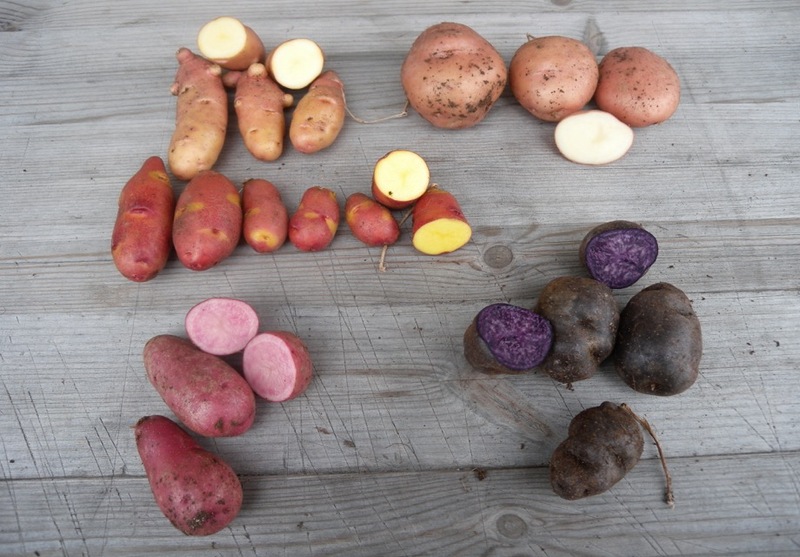 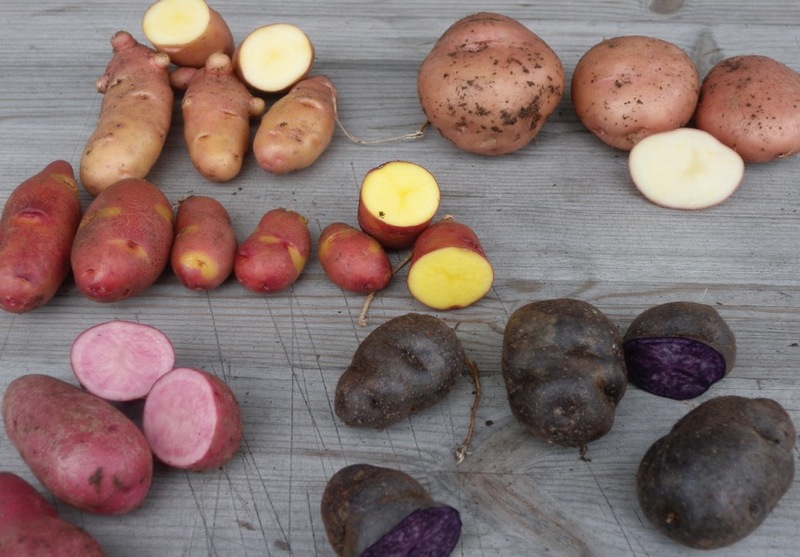 The price was a new seed potato from each variety. 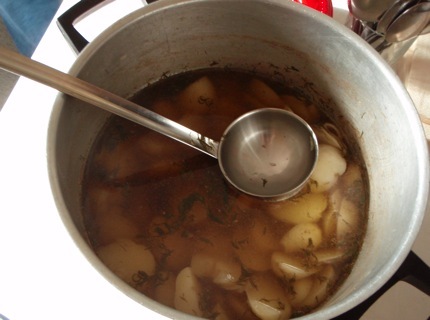 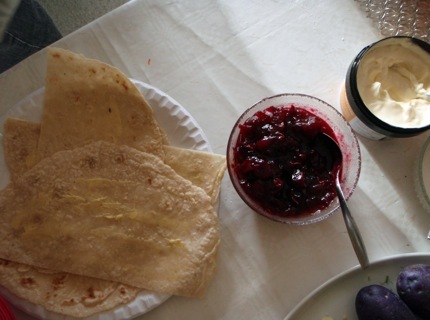 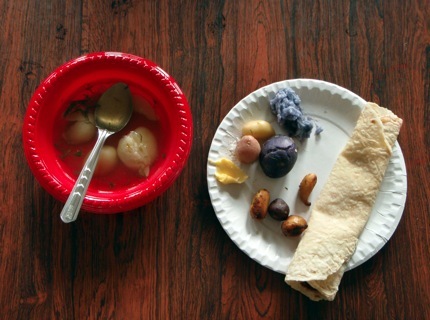 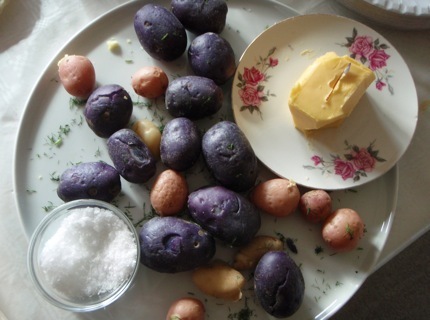 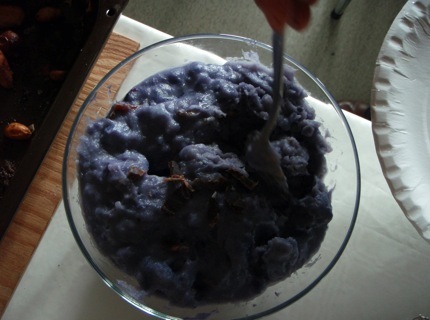 Different favourite potato dishes were cooked, served and enjoyed. 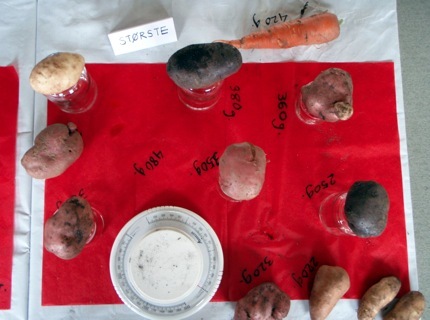 I held a lecture on the Potato Perspective project.